Kalpa is a small town in the Sutlej river valley, above Recong Peo in the Kinnaur district of Himachal Pradesh in the Himalaya. 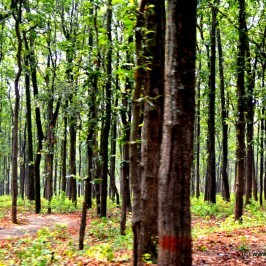 It is famous for apple orchards which is the major cash-crop of the region. The local inhabitants follow Hinduism and Buddhism, and many temples in Kalpa are dedicated to disciples of both religion. 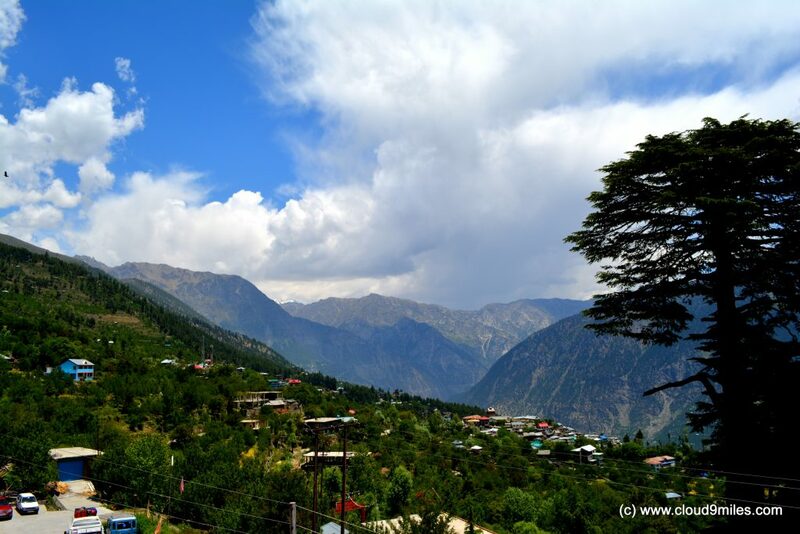 Kalpa is at an average elevation of 2,960 metres (9,711 feet). 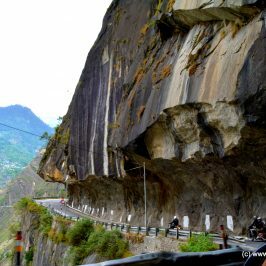 It is located 265 kilometres from Shimla on the NH-22. 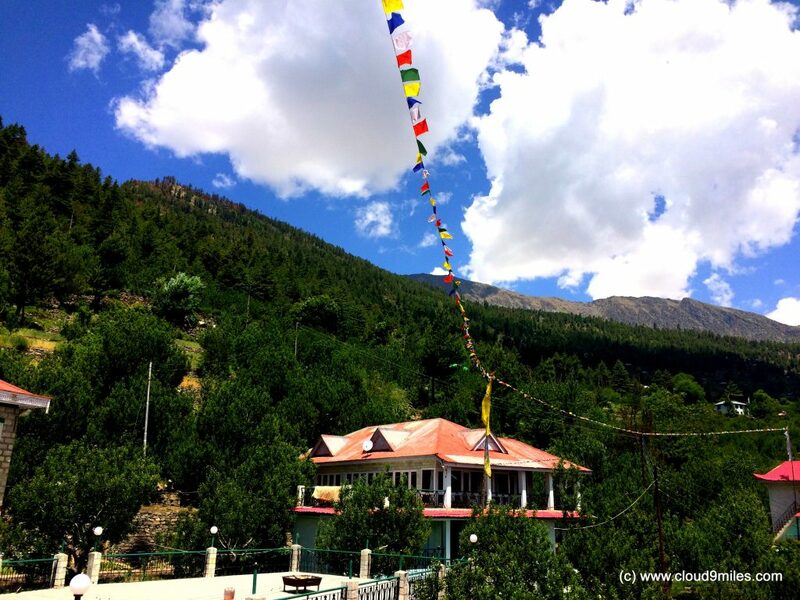 It is located at the base of the Kinnaur Kailash snow-capped ranges. 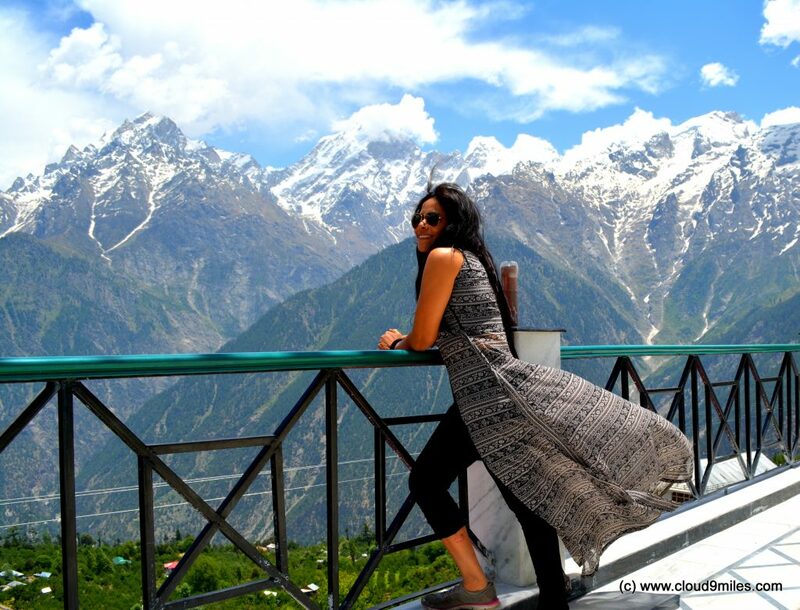 Kalpa is surrounded by apple orchards, pine-nut forests and the stately deodhars. Kalpa has lot of stay options available including few at Recong Peo. 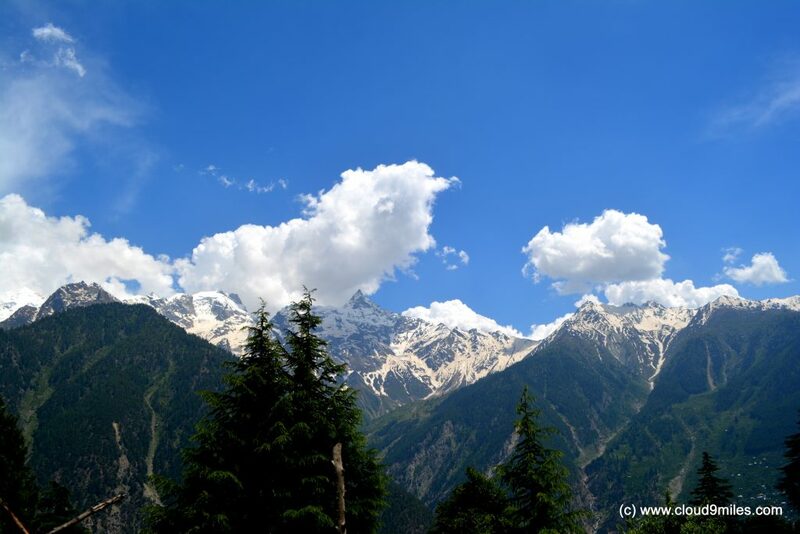 Like Sangla, Kalpa is also one of the hidden gems of Himachal Pradesh nestled in the lap of Himalaya on the Kinner Kailash Range. 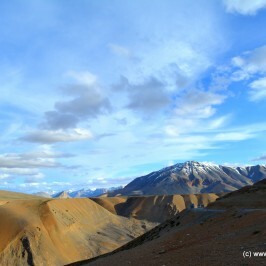 By visiting these places one can easily understand that Himachal Pradesh is beyond Manali & Shimla. The Sutlej River below hurtles through deep gorge; the winding mountain road is bordered by chilghoza (pinus gerardiana) forests. 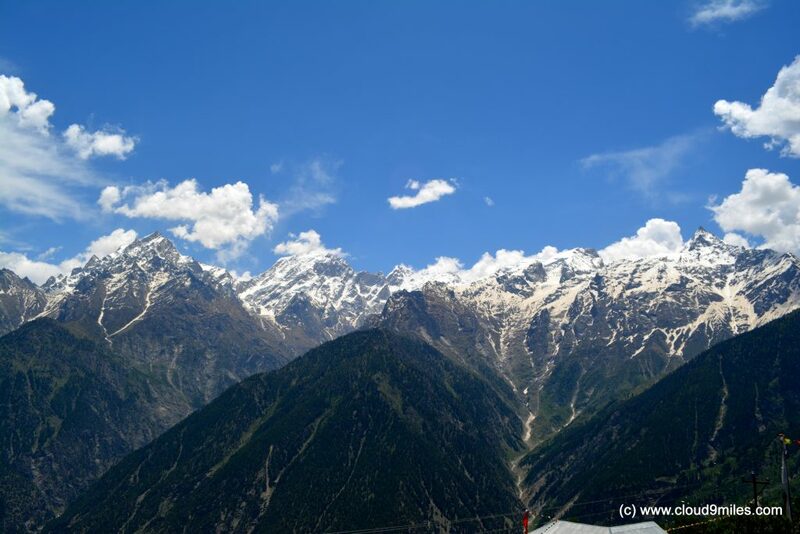 The view from Kalpa is so beautiful that one can easily feel he/she is sitting in the lap of the mountains with the entire range of peaks being visible. Also visible from this place is the sacred Shivling rock on the Kailash Mountain that changes its color at different points in the day. 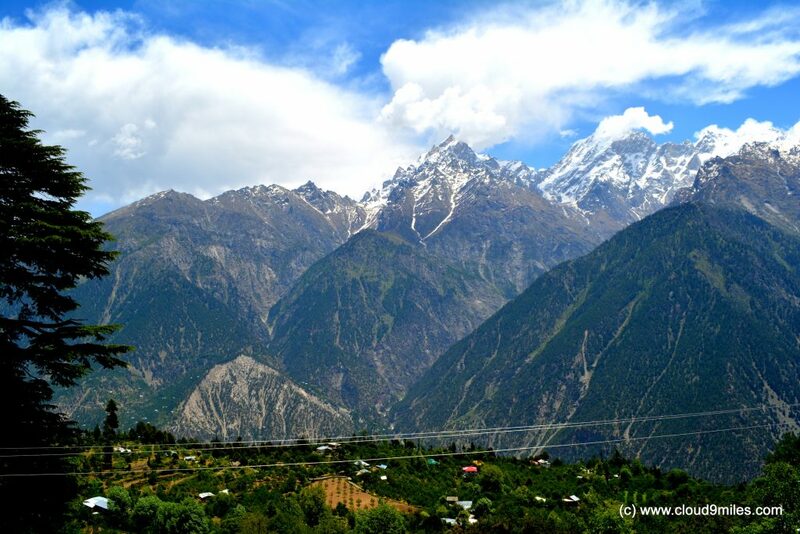 Previous night we took the 14 KMs detour to arrive at Kalpa but could easily gauge the hidden beauty of the place. 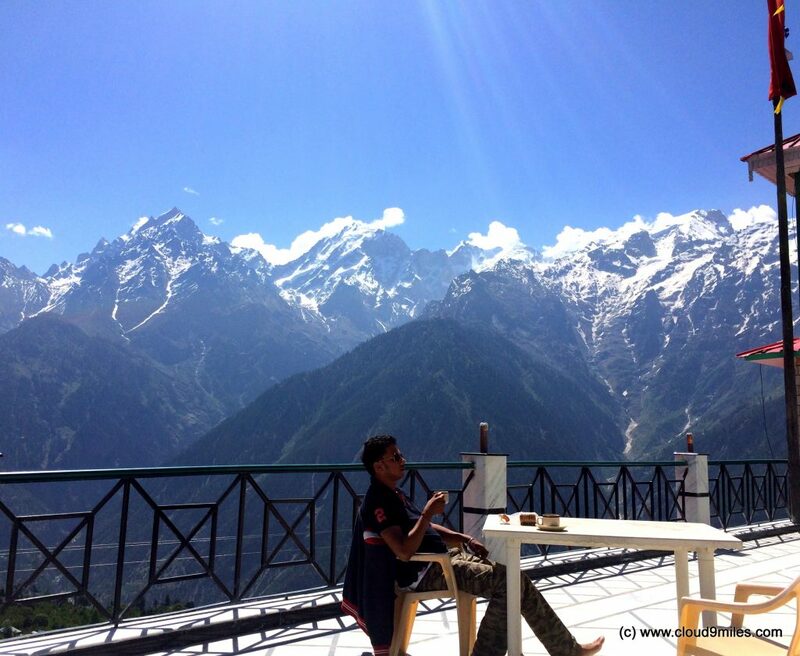 Kalpa can be experienced best with a view of entire Kinner Kailash Range from your stay and we did exactly the same by booking our stay in Hotel Kinner Villa. Although we checked in very late in the hotel but hotel staff obliged us with our request for food. Overall, we had a wonderful experience with the property and hospitality. 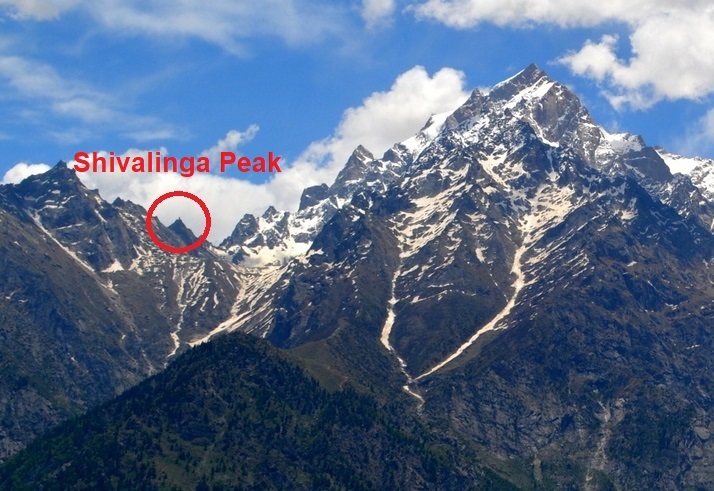 The Kinnaur Kailash (locally known as Kinner Kailash) is a mountain range on Indian Himalayas. 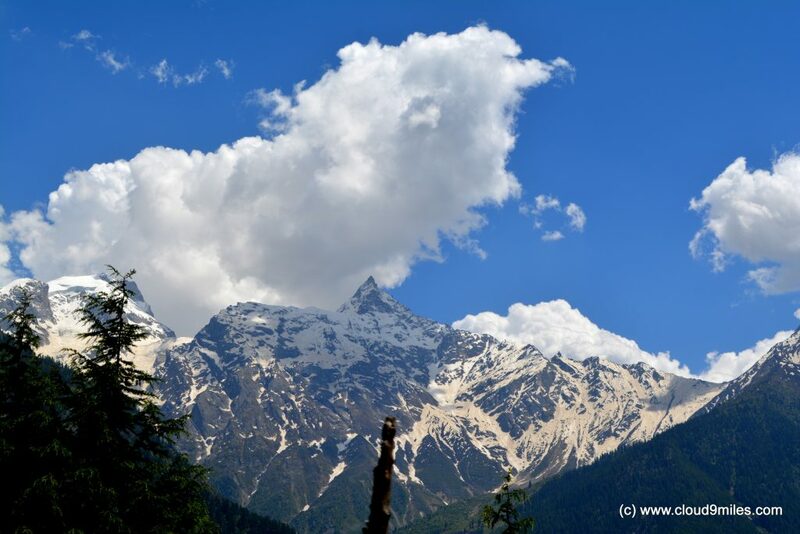 The Shivling is at a height of 4650 meters and is considered as sacred by both Hindu and Buddhist. 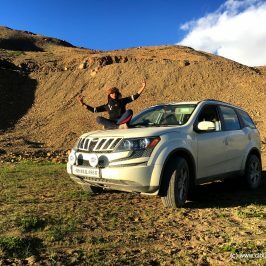 It is accessible through trekking and is one of the toughest treks in Himachal Pradesh and is best meant for spiritual and adventure passionate. 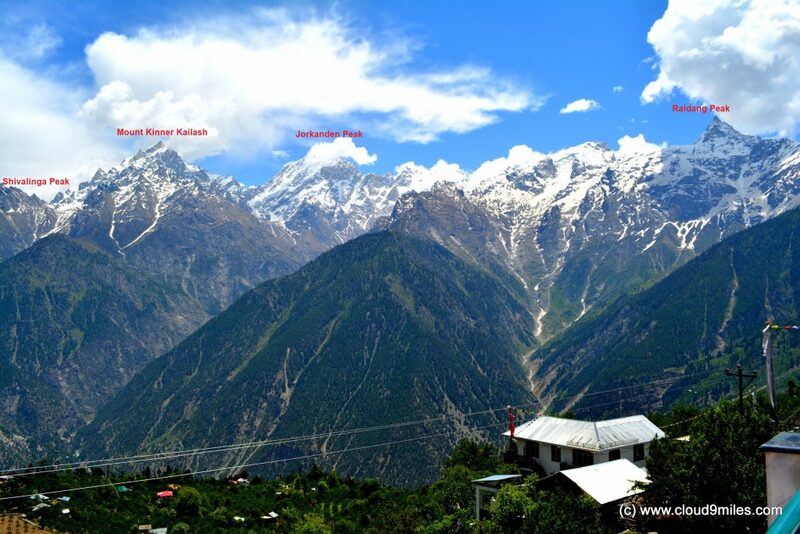 The Kinnaur Kailash Range borders the district of Kinnaur in the south and is dominated by Mount Kinnaur Kailash (6050 m) and Jorkanden (6473m) peaks. 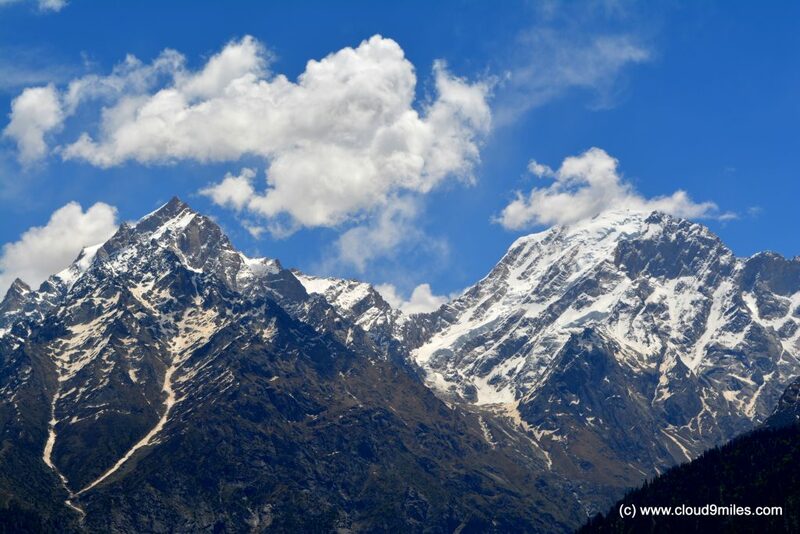 Jorkanden is the highest peak in the Kinner-Kailash Range. We woke up to a beautiful morning and awesome view of snow capped “Kinner Kailash Range”. 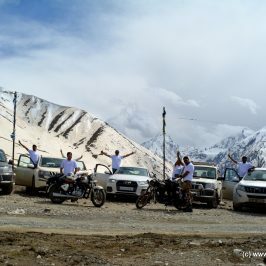 We were mesmerised by the scenic beauty, surrounding apple orchards and enchanting view of the Kinner Kailash. The mystical feeling was omnipresent. An awesome sight that will remain embedded in our soul till eternity. 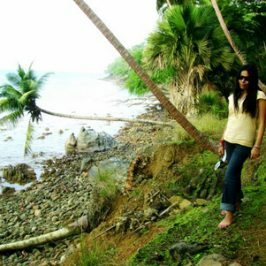 We spent beautiful time in the vicinity and utilised every ounce of our time. 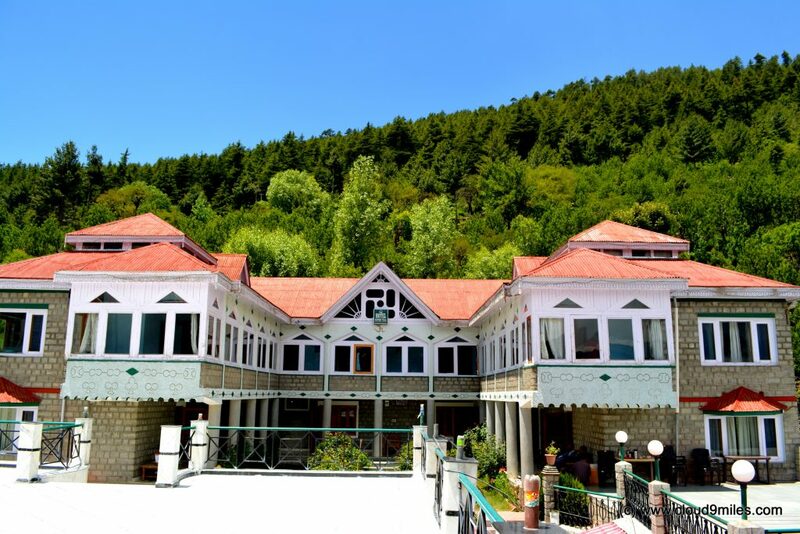 Such was the beauty of this place that one could spend hours by just looking at the panoramic view of the Kinner Kailash Range. It was so attractive that we were pulled by its magnificence. Memorable time spent at Kalpa! Thank you so much Aayush!